Weaning is a difficult time, for both mummy and baby in my opinion. Emily is 4 months old now, although weaning isn't advised or nessasary till they are 6 months old, we've already started. With the constant screaming of weaning, constantly bringing up her food, and medication not working, we were at a bit of a loss. Emily was loosing weight and I wasn't quite sure where to turn. 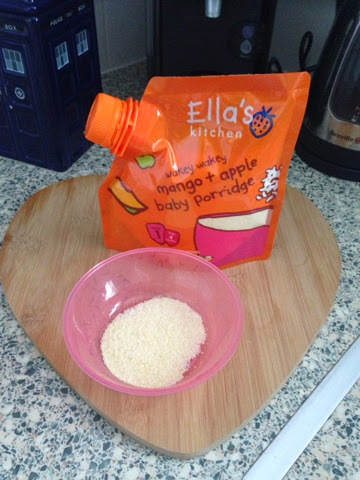 After speaking to my health visitor who completely was against starting Emily on solids (like it is her choice anyway? ), Then came speaking to a GP, the GP decided that with the reflux, and loss of weight it might be a good route to take if we felt that Emily was ready. I think when it's your own child you just know when they are ready for these little milestones. When it comes to milk, Emily has maybe 6oz every 4 hours, Which she bashes her head around during the feed, and is just not interested at all. I think she may have associated her bottles with being sick. She would happily not have it if she wasn't offered it. However she is crying out because she's hungry. When me and Sam sit down to eat, she's constantly reaching out for our plates. She's interested, She actually put her hand in our dinner and then took it straight to her mouth. In my opinion that's enough signs that she's ready. Of course because of her age she can't quite hold herself up, She can sit up but she needs that extra support, she can hold her head confidently and comfortably. Emily is also trying to pull herself up from laying down, so we feed her in her bumbo, or her highchair that we recently purchased and she loves! It has definitely been a messy, fun and exciting time with Emily. She is now 3 weeks into her weaning journey and she's adjusted really well. The reflux has improved, and she seem's happier. We tried some puree carrots to start with, and she loved it, she reaches out for her bowl, and likes to hold onto her spoon. There is lots of giggles and smiles which is a really positive sign, and she has started to gain weight again, because of her age we are sticking to one meal a day, she usually has it about 4.30pm. We are going to try and fit in a feed at 10.30 but at the moment I don't feel she is really ready for that. 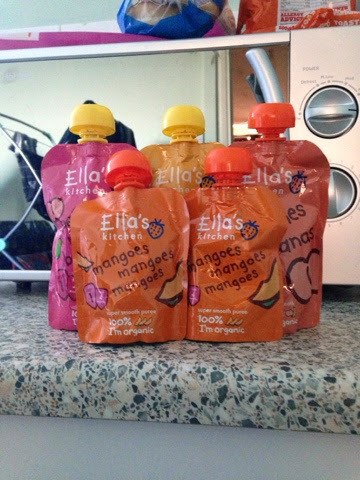 So far Emily has tried, carrots, pears, apples, parsnips, blueberries, mangoes, strawberries, bananas, baby rice, rusks, porridge, peaches, and sweet potatoes. She has liked it all so far, bananas are definitely her favourite. Again because of her age we have been advised to make her feeds quite runny. Although she has had a few lumps and hasn't had a problem with them at all. I don't really want Emily to get used to having runny food, I want her to know that there is texture in her food and get used to it too avoid any early fussiness. I'm generally not a fussy person with food, however Sam is and it drives me crazy. After speaking to his mum, I found out he didn't have much fruit when he was little, if he threw a strop then she would change it and give him something else. No way is that happening with Emily, I will not be pandering too her, I don't want to see like a mean mummy however when I was younger if I refused my meals, that was that. There was no other option. Emily will not starve if she misses one meal. I really don't want mealtimes to become something I dread, or a battleground but I think by sticking to my beliefs, it is possible for her too have a varied diet. Also it's possible for me to have a happy child at meal times. I will encourage her, and praise her when she does try new foods, and of course if she doesn't like something I will not force her to have it, but I want her to at least try it before deciding that she doesn't like it - which her daddy doesn't do. What are your opinions on weaning? I'd love to hear what works for you. Well done for sticking to your guns, your totally right and you know when you're child is ready. We started weaning Monkey at 41/2 mths and he was totally ready for it. He was a great eater, ate and liked pretty much everything (except banana randomly) but at around 13 mths he got hugely fussy and still is. We have the same rules as you as mealtimes at one time were a battleground. He is still hugely fussy and some nights doesn't eat dinner which isn't fun but we don't back down. The hardest is when they won't eat lunch, then you have a really miserable child on your hands! 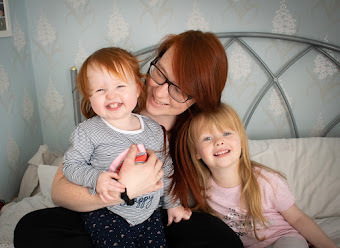 Thanks for linking with #MaternityMondays and apologies for the delayed response!